A Lazy Girl's Guide to Summer Beauty! Recently I got the chance to guest post over on Taylor's blog, and would just like to say thanks to her for the chance. 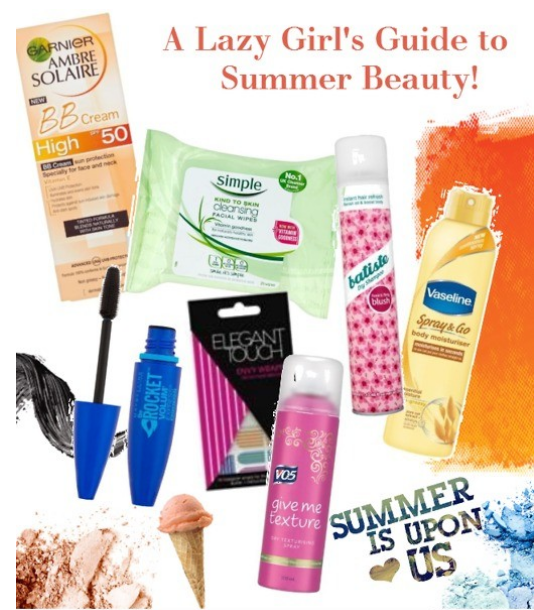 This is 'A Lazy Girl's Guide to Summer Beauty'! I thought of putting the post on here as well as I love it that much. 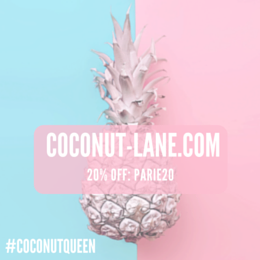 Today I am going to take you through some easy steps to get you ready for the summer, and if you're anything like me - then you will agree that the summer brings out the laziness inside of you. No one wants to spend hours doing their hair and makeup, right? Summer is meant to be easy, carefree and fun! So here are a few cheats which will mean spending less time in front of the mirror. Shh! 1. BB Cream - No one has the patience to throw on a sunscreen then a foundation ect. Instead going with a BB Cream is the easier way out because you are combining everything in one. Garnier and a lot of other brands have started making ones with SPF included which keeps you protected from the sun. 2. Face Wipes - It's a big no no in the beauty world to use face wipes, but if you don't have a lot on your face everyday I don't see the problem with using good quality ones like these Simple ones. 3. Dry Shampoo - If you're wanting to make your hair last all day or can't be bothered to wash it, then dry shampoo will be your best friend. Why? This will absorb all the oil in your hair and make it look fresh and brand new. 4. Spray on Moisturiser - Moisturiser is like Marmite. You either love to cover your skin with lots of cream or you complain of sticky, non-absorbent formulas. Thanks to Vaseline this spray on moisturiser will absorb straight into your skin! One quick spray and you're ready to go. 5. Waterproof Mascara - This stuff is amazing in the hot weather because the waterproof formula stays on your eyelashes for ages, even though its a pain to get off. 6. Nail Wraps - If you are a big fan of nail art but are far too lazy to sit there and paint them all, then nail wraps are the greatest inventions! Long lasting and won't take you all day. 7. Texture Spray - Along with dry shampoo I love to use texturing spray to add some extra boost to your hair and it will help with those beachy waves.